If you've never played these games before or have been waiting to pick up the DRM-free versions on GOG.com this is a great opportunity to pull the trigger! Over 2,000 mod files here on the Nexus alone. Over 31,000,000 downloads of those files. I'd say that makes W3 pretty moddable. Numbers doesn't mean anything without the correct thinking and view of the context. The Withcer 3 is LESS moddable than The Witcher 2. The reason there is more mods of the last one is it's more popular, like the Skyrim scenario. There is a lot of games moddable like The Witcher 3 and most of them don't have many mods, because there is not enough people interested in making those for those games. Community and the quality (even with downgrade) of the best game ever made, made all the mods possible. We made them possible. Not CDPR. CDPR downgraded the modkit and it is totally, with the downgrade, related to "not make consoles look bad" thing. Nexus community is the responsible of those Over 2,000 mod files and we know Nexus is the place where modding goes mostly. 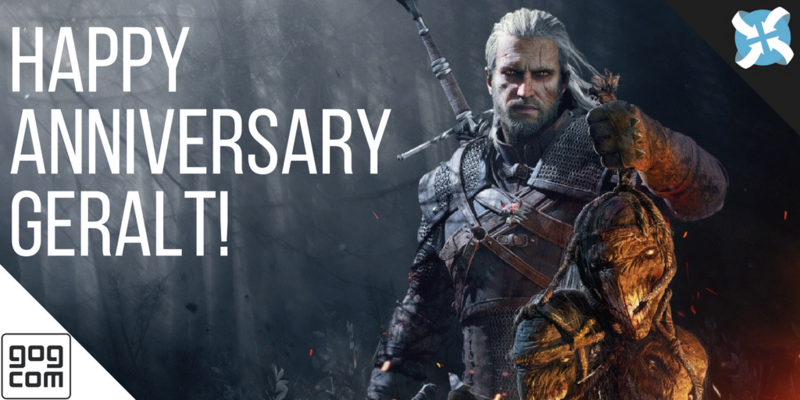 Happy Belated Birthday Witcher and what is even better, there will be a Witcher 4! LOL, I already posted on this thread. Oh well, Happy B-day again to my most favorite RPG video game of all time! The game successfully transferred me to another world. Yes it is, I am currently using mods for Witcher 3. Now is it as moddable as other games, maybe not? But saying it is unmoddable is completely untrue. I play the Witcher games but as a woman, I always feel like I am crashing a party I was not invited to. OK so this post, and this anniversary, and this sale, well well well. I bought Witcher 3 - It's the most fun I ever had playing a game since Zelda Ocarina of Time. No lie. Hands down this game is amazing. Sorry Fallout 4, but receiving one accolade of Game of the Year from one magazine, doth not a Game of the Year title make. CD Projekt Red - Bravo. This game is mindblowing. PS.. I applied for a level design position for Witcher 4 - wish me luck, you guys. Good luck!Just remember to do your best so Witcher 4 will replace Witcher 3 as the best fantasy RPG video game to date. Witcher 3 is definitely the best Role Playing Video Game to date. The only negative thing I have to say is, "What no more content until Witcher 4?!" I can't wait to see how Cyberpunk 2077 turns out! Whoever thought this was a good idea should rethink it. What was a functional website is now a website that looks pretty but lost all its usability. Not to mention that despite a 100mbit connection load times are abysmal now. ​So far, that's like a true RPG setting. Be someone else - completely unchained from real life facts & constraints. ​But I agree, that open games like Skyrim (player's liberty to choose her/his character) make that experience far more comfortable. ​To that degree, the Witcher games clearly lack a story from a female perspective. Ciri might be the obvious one. In a ranking: The "​Blood and wine" expansion feels the most neutral story for me where Geralt's gender is not predominant in the mainquest. Witcher 1 would probably be the opposite for the told story. Good timing, I have bought all 3 games of The Witcher series. Does the story continue from first game to second to third? I just want to know if it worth to start playing the first one or jump to third one? Give the first one a try. If you are ok with the gameplay (which hasn't aged very well), the stuff you learn about the story and lore is pretty cool. And the second game is actually pretty great by itself. The story doesn't really continue, but there are a lot of referenced to 1 and 2 in 3. And imo knowing them makes the wild hunt more enjoyable and gives it a much more familiar feel. The story does continue. CrusaderX speaks false. You port your savegames from the Witcher 1 to its sequel, and then to 3.